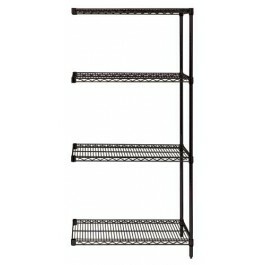 Heavy-duty Wire Shelves Black Wire Shelving Add-On kit allows you to expand your Starter kit by sharing a set of posts. Configuration options include straight line, back to back and right angles (L-Shape). Add-On kits come complete with 2 posts, 4 shelves and 8 S-Hooks. Additional shelves may be purchased separately. Units with Add-On kit cannot be made mobile. 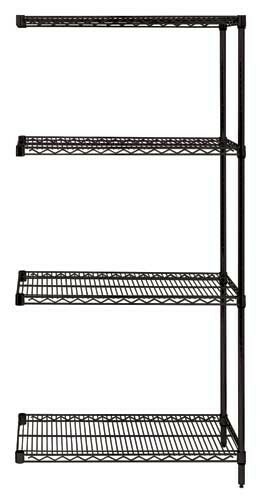 Includes 2- 86" Posts, 4 Wire Shelves and 8 S-hooks.